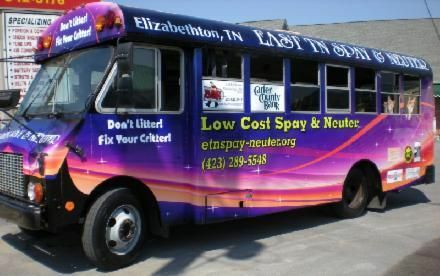 East Tennessee Spay & Neuter is a non-profit corporation, with the sole purpose to end the use of euthanasia for companion animals by providing a cohesive group of programs designed to help the community, especially low-income families, keep their pets healthy and OUT of the shelter. We believe this is the best way to reduce the kill rate at local shelters. Currently, we provide vouchers for low-cost spay-neuter surgery at Paws of Hope Animal Wellness Center, a full-service veterinary clinic in Bluff City, TN. We are not affiliated with Carter County Humane Society, the Carter County Animal Shelter, or any other animal rescue group. Our other projects include a pet food pantry and education about proper pet care, including a dog obedience class. 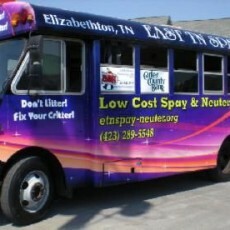 Through a partnership with Appalachian Feral Cat Allies, we offer assistance for a feral cat trap-neuter-return program. Paws of Hope Animal Wellness Center is a full-service veterinary clinic that is unique in that it provides income-based services for those who qualify.